Recently one of my Instagram followers reached out to me asking if I could recommend a few key pieces that she should have in her closet and of course I said YES and thought a blog post would be helpful, too! 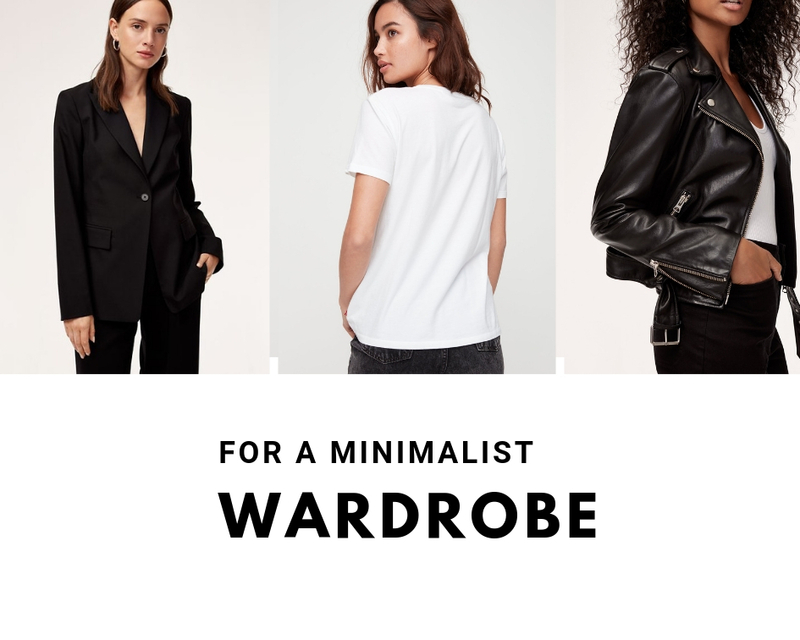 As a Personal Stylist, I’ve carried around a list of closet staples every woman should have in their wardrobe since I started my journey of helping women (and men!) with their style 7 years ago. I always focus on quality over quantity with my clients; on creating a carefully curated wardrobe full of thoughtful pieces that they can mix and match to suit their lifestyle. Below I share my Top 10 recommendations with you that will never go out of style! 1. A White Tee. This is a great piece to layer underneath blazers, cardigans and jackets or you can wear it on its own with a great pair of jeans. 2. A Black Blazer. So versatile, blazers are not just for wearing to job interviews or work. Adding a blazer will instantly make a casual outfit look more dressy. And they come in all different styles – structured, cropped, over-size, loose-fitting – for every body type. So many options! 3. A Black Leather Jacket. Is there any other item of clothing more badass than a leather jacket?? I think not! Definitely an investment piece, a genuine leather jacket will last you years and will only get more comfortable the more you wear it. I like styling mine over dresses, layered over a blouse and jeans or with black skinny pants and a black turtleneck for a chic, monochromatic, “model-off-duty” look. 4. A Great Fitting Pair of Jeans. They should be so comfortable you could sleep in them! Well, almost ; ). The key to finding the perfect pair is trying tons of jeans on because they come in so many different styles: low-rise, mid-rise, high-rise, cropped, skinny, straight, bootcut, flared, boyfriend, the list goes on. I’ve found that I’m most comfortable in high-rise jeans because they hold in my mummy tummy and prevent a muffin-top from forming ; ). I have a client who is a personal trainer and has a very covetable six pack and so she’s comfortable in low-rise jeans and tops that show a little bit of her abs. Everyone is different! And if you purchase high-quality jeans you shouldn’t need multiple pairs because they will last you a long time. A lot of people think that because I’m a stylist I have a lot of clothes, and therefore lots of jeans. The truth is, I only have 3 pairs and that’s all I need! 5. A Long-Sleeved, White Button-Up Top. So classic. Can be tucked into a skirt or pants, or worn underneath a sweater with the collar peeking through, these are just a few of the many options on how to wear a button-up top. Confession: I stole my husband’s and I wear it all the time ; ). 6. A Pair of Black Pants. Whether they’re skinny jeans, dress pants, or ankle crops, a pair of black pants will go with everything in your closet, and I mean EVERYTHING. 7. A Lightweight Knit Sweater. If you live in a cold climate like I do, a sweater is a necessity and an easy top to pair with any type of pant or even a skirt. 8. A Pair of Classic Black Pumps. It doesn’t matter if the heel is 1″ high, 2″, or 3 or 4 inches, high heels make you instantly feel powerful and sophisticated. (At least that’s how they make me feel!) You can wear them with dresses, skirts, pants, jumpsuits, jeans, anything really. 9. Black Ankle Boots. You can wear ankle boots no matter what season it is. Pair them with a dress and black tights in the winter or wear them with cut-offs and a t-shirt in the summer. Oh and don’t forget skinny jeans! Ankle boots look amazing worn over those. Okay right now you might be thinking, “Marie! Why so much black? ?” Well my answer is because black is such a versatile, classic color that works with almost every other color in your closet and is the easiest shade to mix and match with. 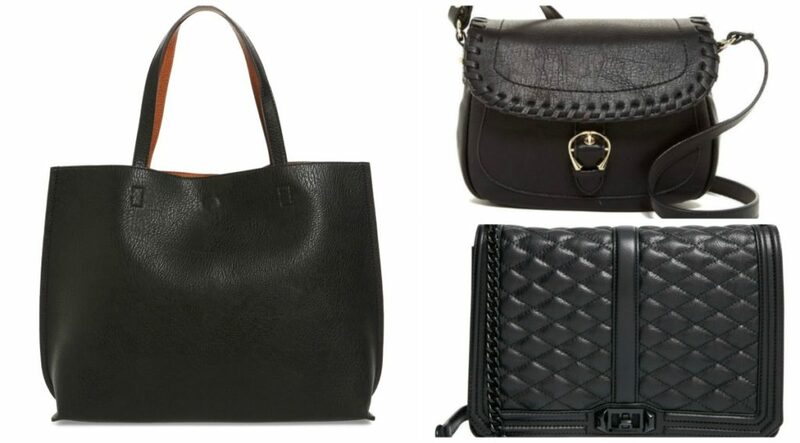 Which brings me to my last must-have closet staple, below. So there you have it! My top 10 staples every woman needs in their closet. I kept this list short, these aren’t the only items on my Wardrobe Checklist I use with my clients (and other items involve COLOR!) 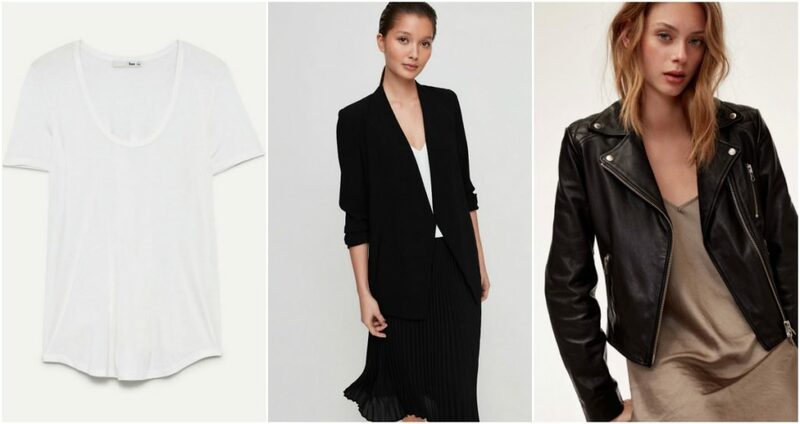 but if you’re looking to build a capsule or minimalist wardrobe, these 10 pieces are a great place to start!